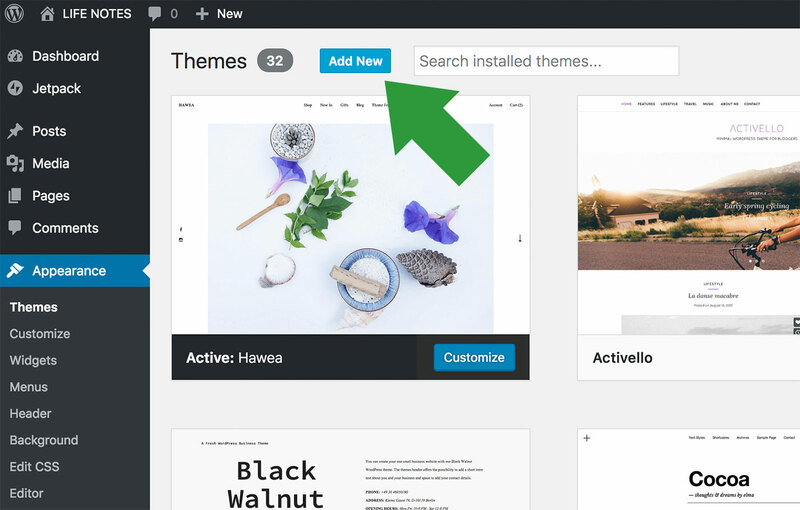 Installing a free theme from the official WordPress.org theme directory for your WordPress website is quite simple, but if you’re new to WordPress, you may find this tutorial helpful. 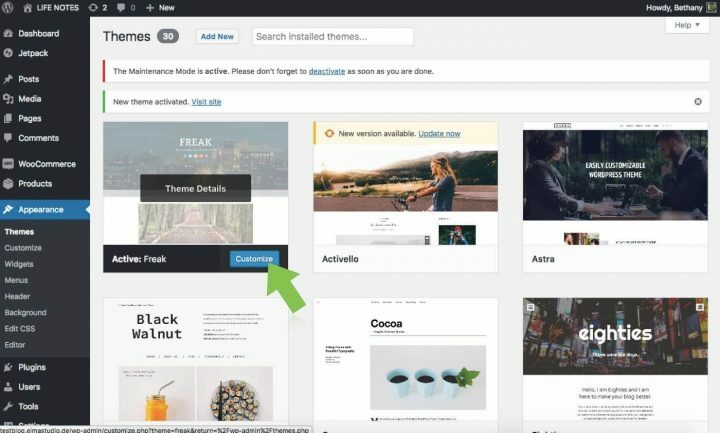 Once you are logged into your WordPress admin area, click on ‘Appearance’ and then ‘Themes’ and you’ll see the Themes overview page come up. From there, you can click on ‘Add New’. You can search for a particular theme that you know you want to use or you can browse through the themes (they are sorted by featured, popular, and latest). 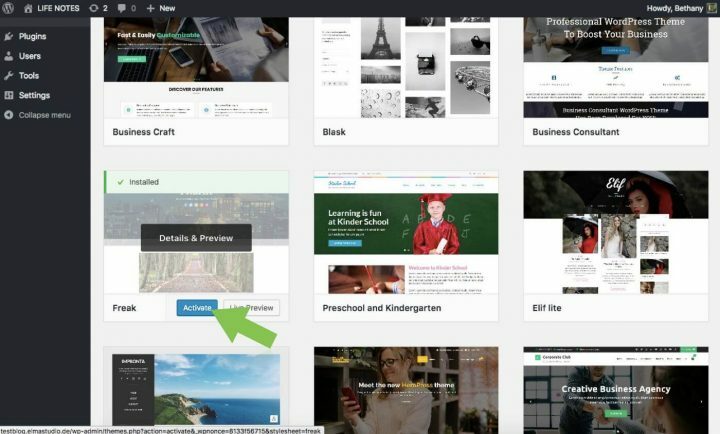 Hovering over a theme will give you the option to see a preview and details about theme will come up. Click on this. Then you will see the live preview and the details. If you like the theme, you can install it from here by clicking on the ‘Install’ button. After the installation is complete, you will be directed back to the page showing all your installed themes. From here you can choose to ‘Activate’ the theme, wich will make the theme your active theme of your WordPress website. Once activated, the theme will be listed as the first theme on your themes page (if you have more than one theme). You can start building your site by clicking on ‘Customize’. 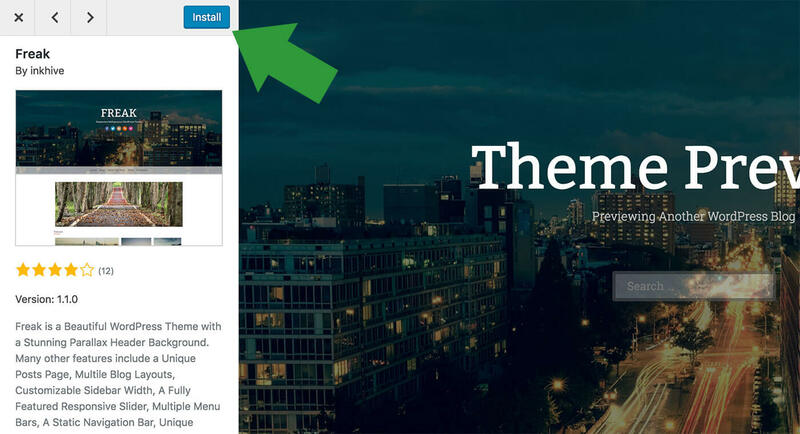 Hopefully this little tutorial helped you to install a free WordPress theme of your choice. Have fun building your website! Feel free to comment with any questions or additional information you would like to share. 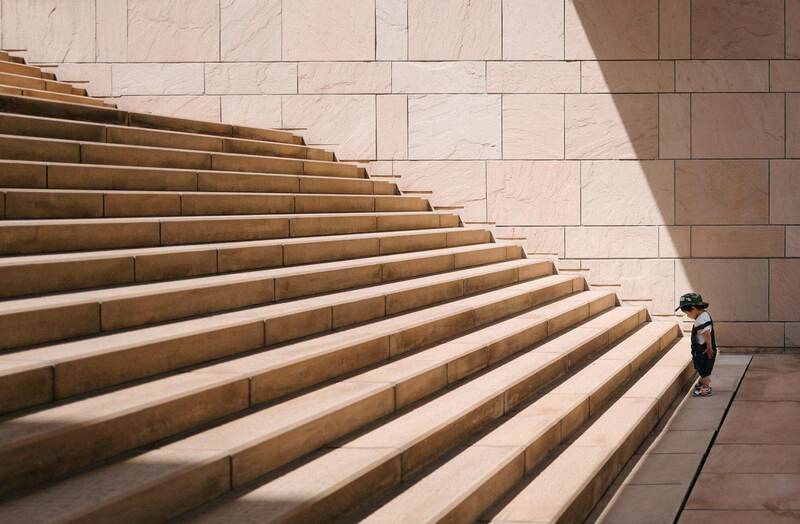 In case you have suggestions for further WordPress beginners tutorials, please also let us know. We would love to hear from you.